Amarnauth Singh, MD, FACC, is a board-certified cardiologist at Phoenix Heart, with exemplary qualifications earned throughout the United States and the United Kingdom. Dr. Singh’s expertise and international profile are an invaluable asset to the Phoenix Heart team, which has offices throughout the greater Phoenix area in Glendale, Goodyear, Anthem, Buckeye, and Black Canyon City, Arizona. 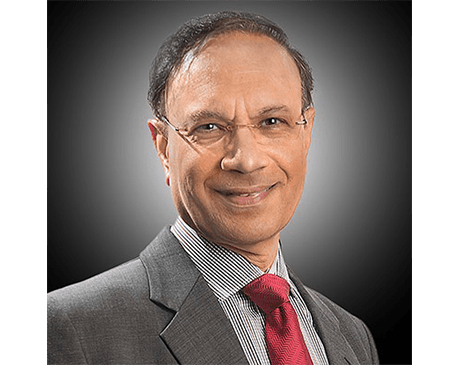 Dr. Singh studied medicine in the United Kingdom at the University of Wales College of Medicine, now merged with Cardiff University. Once he received his medical degree, he remained in Cardiff temporarily, completing an internship in internal medicine at the University Hospital of Wales. From there, he moved on to the Middlesbrough General Hospital, now the James Cook University Hospital, for a residency in internal medicine. After his residency, Dr. Singh continued his training with four fellowships. He earned entry to his first two in the United Kingdom, one in cardiology at Walsgrave Hospital in Coventry and one in research cardiology at Birmingham Hospital in Birmingham. He then continued his education in the United States, with fellowships in cardiology and electrophysiology at Albany Medical Center in Albany, New York. On top of this extensive international training, Dr. Singh’s expertise and commitment to excellence have earned him certification three times over by the American Board of Internal Medicine, with special focuses on cardiovascular disease and cardiac electrophysiology. He is a member of the American Society for Clinical Investigation, the Heart Rhythm Society, and the Royal College of Physicians, and a fellow of the American College of Cardiology.